All international flights land at the Philip S. W. Goldson airport in Ladyville located approximately nine miles north of Belize City. As the largest municipality in the country, Belize City is the transportation hub of Belize. If you are interesting in traveling to Hopkins from Belize City or the International Airport, there are several options. Probably the easiest method but also the most expensive. Simply hail a taxi (all licensed taxis have green license plates) and negotiate a price. Taxi drivers are more than happy to drive you anywhere in the country, including Hopkins. Belize has an extensive network of inter-city buses. 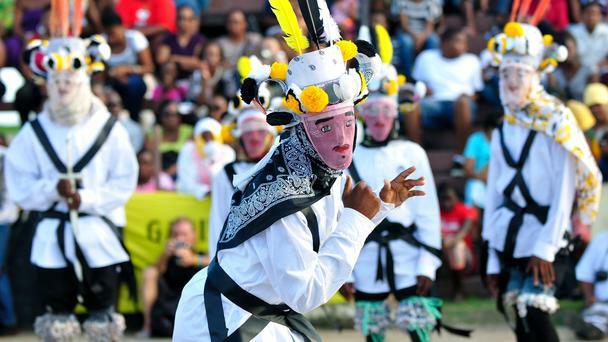 From Belize City, look for buses heading to Dangriga on the southeast coast. The price for the bus will be just a few dollars but expect crowding and multiple stops along the way. From Belize City to Dangriga, the journey will take around three hours. In Dangriga, you’ll have to switch buses for one heading to Hopkins. Only two buses operate daily, one leaving Dangriga at 12 noon and one leaving at 5:00 PM. There is no airfield in Hopkins. There are, however, several daily flights between Belize City and Dangriga (code: DGA). From there, you can take a taxi, bus, or drive your own vehicle to Hopkins. Flight time between Belize City and Dangriga is approximately 15 minutes. It will take approximately 30 minutes to drive to Hopkins from Dangriga. By car, it takes approximately two and a half hours to get to Hopkins. Leaving Belize City, follow the George Price Highway (sometimes known as the Western Highway) to Belmopan. From there, take the Hummingbird Highway towards Dangriga. Take the turn on the Southern Highway and follow the posted exit to Hopkins Road. This will lead directly into the village. Travel time between the Dangriga turnoff to Hopkins is around 25 minutes. Note: Some online maps and navigation systems recommend taking the Coastal Highway to get to Hopkins. Despite its name, the Coastal Highway is not a paved roadway and travel speeds are hampered by poor road conditions. Although the route is longer, it is faster to go from Belize City to Belmopan and then use the Hummingbird Highway to get to the southeastern coast. Barefoot Services can arrange for shuttle service from Belize City to Hopkins. Barefoot also offers car rentals and can drop vehicles at any location in Belize City so travelers can drive to Hopkins on their own.